Where the track meets the snow pack is perhaps the most critical performance interaction for a snowmobile. This vital contact patch can make or break the riding experience. 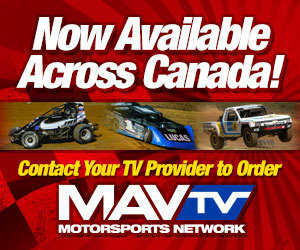 From traction, control, flotation and so much more, the track is the secret sauce. Thus, when the crew at Camso alerted us to a new track they’ve developed, we drop everything and listen. Regarded by most as the industry leader in track design and manufacturing, they’re ready for the 2018-19 season with the introduction of three new track designs highlighted by the all-new Hurricane 175. The official release follows and you can see these new tracks in person at this year’s Hay Days kick off to winter party in just a few short weeks. See you there! Next-Generation Hurricane 175 – Inspired by mountain track lug geometry, the Hurricane 175 is the perfect balance between deep snow technology and trail-gripping adrenaline. 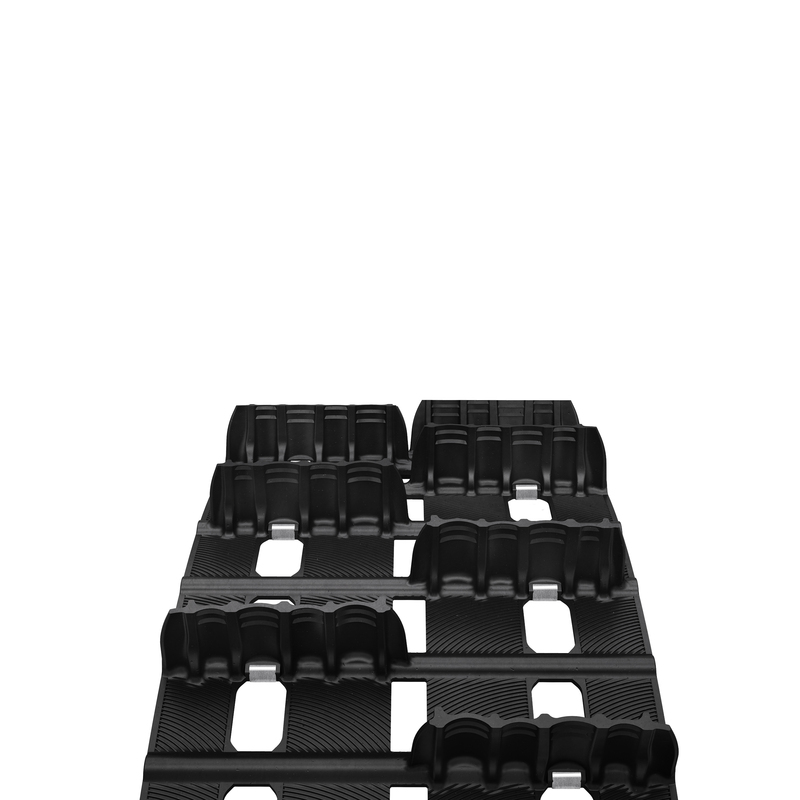 Its 1.75-inch lug design reduces vibration while ensuring maximum power transfer to the ground, both on and off trail. The optimized outside lug column positioning enhances deep snow traction and provides maximum durability in all riding conditions. 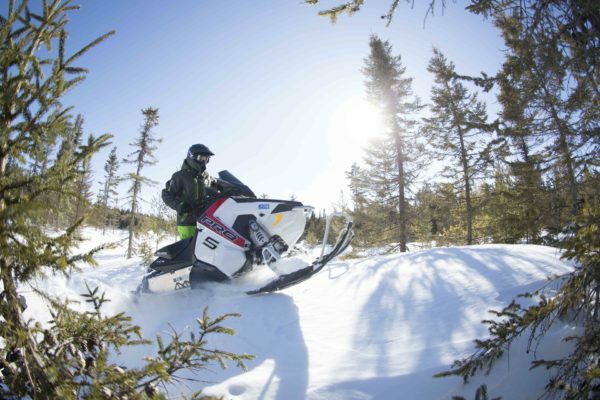 “This next-generation cross-country track is designed for riders looking to maximize the potential for adventure, aiming to access the deepest wilderness,” explains Bruce Dashnaw, Sales & Marketing Executive Director – Powersports at Camso. 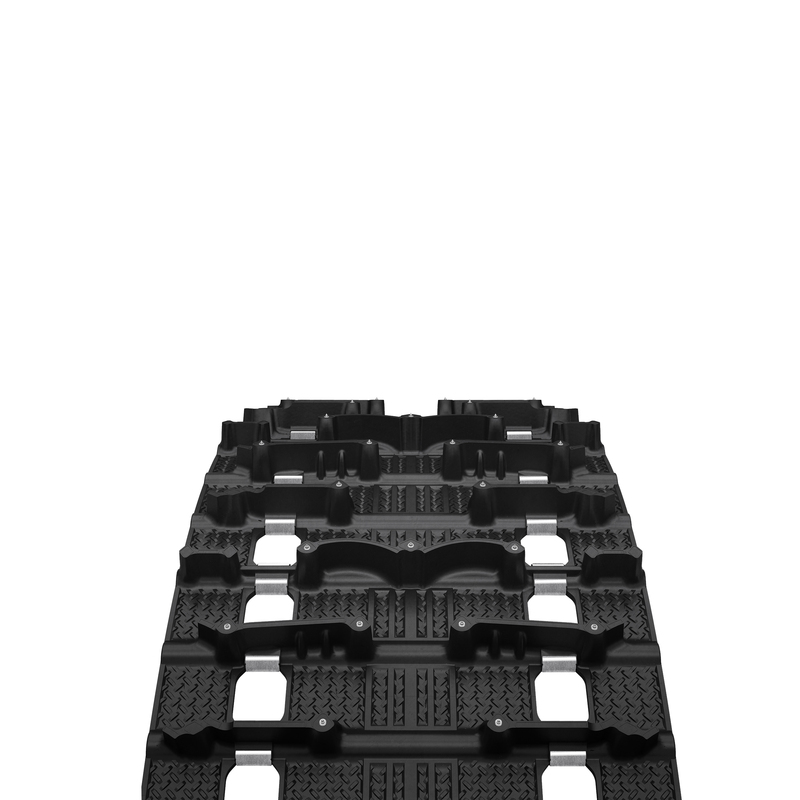 New ICE Storm 150 – Answering customers’ demand for a factory pre-studded, high performance trail track, Camso developed the ICE Storm 150 based on the success of the Storm 150, launched last year. With its factory-installed studs, the ICE Storm 150 provides crisp control in all conditions, from icy hills to hard-packed snow and groomed trails. It features the same unique two-lug height design that offers the Storm 150 and appreciated by all trail riders: 1.5-inch cup-shaped center lugs for deep snow flotation and gut-wrenching acceleration on packed trails, and 1.25‑inch outer lugs to easily power through tight turns without sacrificing control. No matter the conditions, the ICE Storm 150 provides precision and control for handlebar-gripping acceleration. 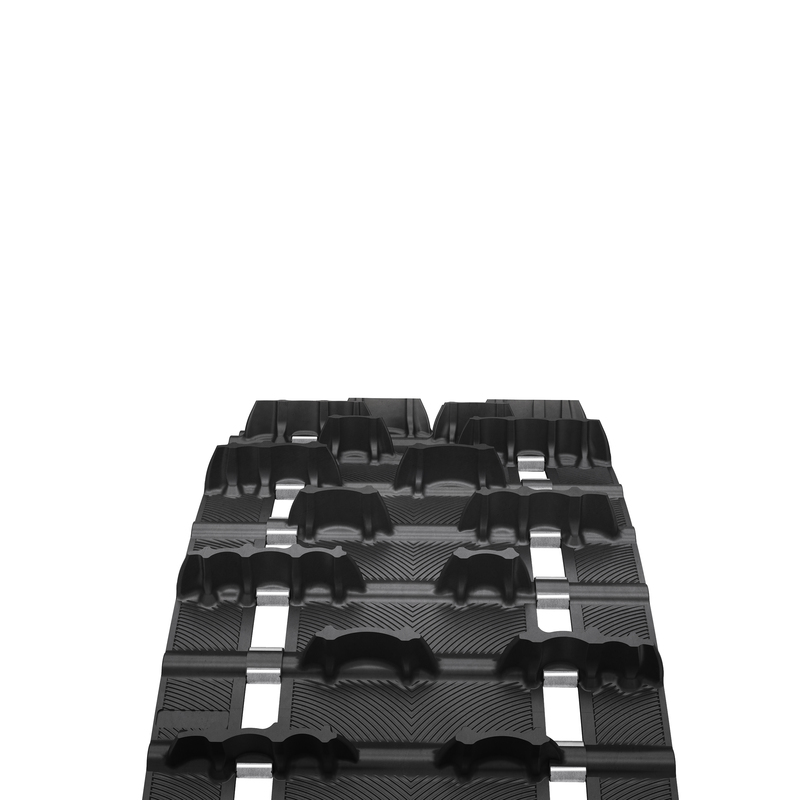 New Conquer 260 – Designed for deep snow riders, the Conquer 260 track uses a softer rubber compound for better deep snow performance. Its 2.6-inch lug design powers through the deepest mountain snow with ease. This lightweight track increases your machine’s available horsepower, requiring 20% less throttle input in turns and 25% less throttle input on side hills. 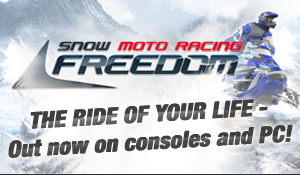 Snowmobile enthusiasts can get a first look at Camso’s 2019 track lineup at Hay Days, the world’s biggest snowmobile and ATV event, in North Branch, Minnesota, on September 8 and 9. The Camso booth, complete with experts to explain the features and benefits of these innovative new tracks, will be located at booth #AD0‑AD1.